Author, Zora Neale Hurston, was born 126 years ago today, on Jan. 7, 1891 and members of Black fraternities and sororities are celebrating her. Zora pledged Zeta Phi Beta’s Alpha Chapter as a student at Howard University where she was a student from 1918-1920. 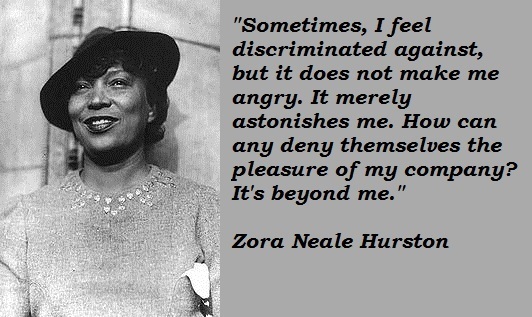 We at WatchTheYard.com are big fans of Hurston and in her honor we have created a list of our favorite quotes from Zora. Click on the arrows below to see our favorite quotes! Click on the arrow below to see the rest of the quotes.